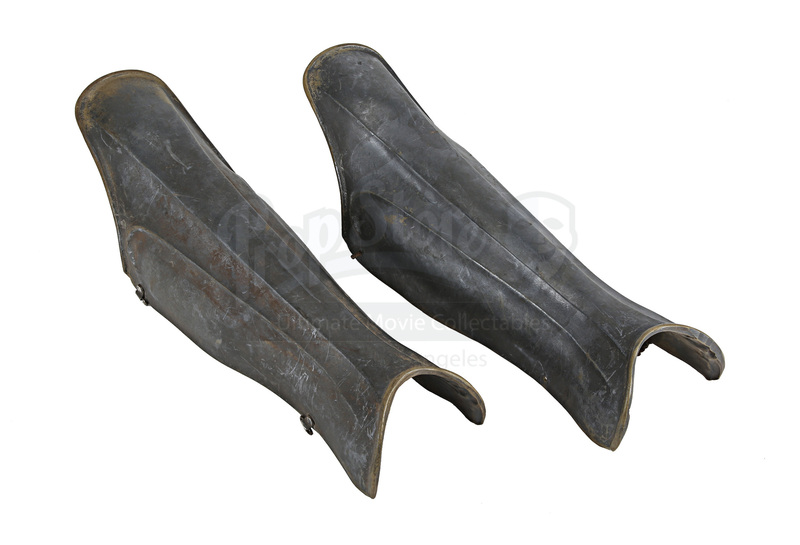 A pair of Roman infantry greaves from Ridley Scott's 2000 Oscar®-winning action epic Gladiator. In the film, betrayed Roman General Maximus Decimus Meridius (Russell Crowe) returns to Rome as a gladiator in order to seek revenge against the self-appointed emperor, Commodus (Joaquin Phoenix), who murdered his family. 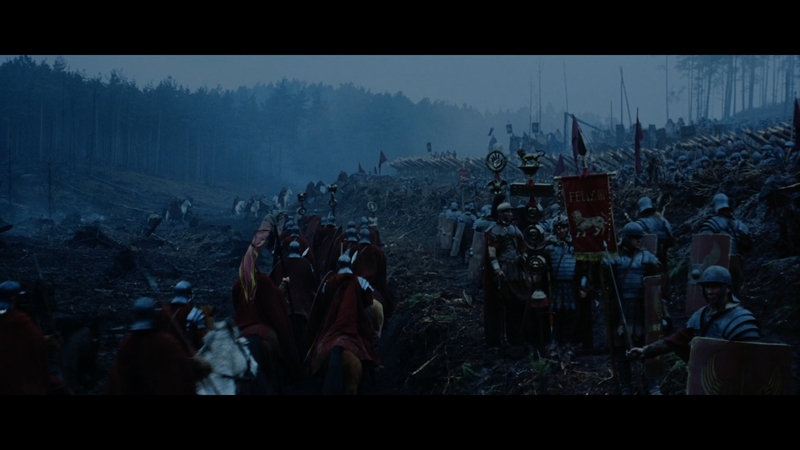 The Roman legionaries fought alongside their general, Maximus, on the fields of Germania as they fought to the region's Germanic tribes, ultimately standing victorious on the field of battle. 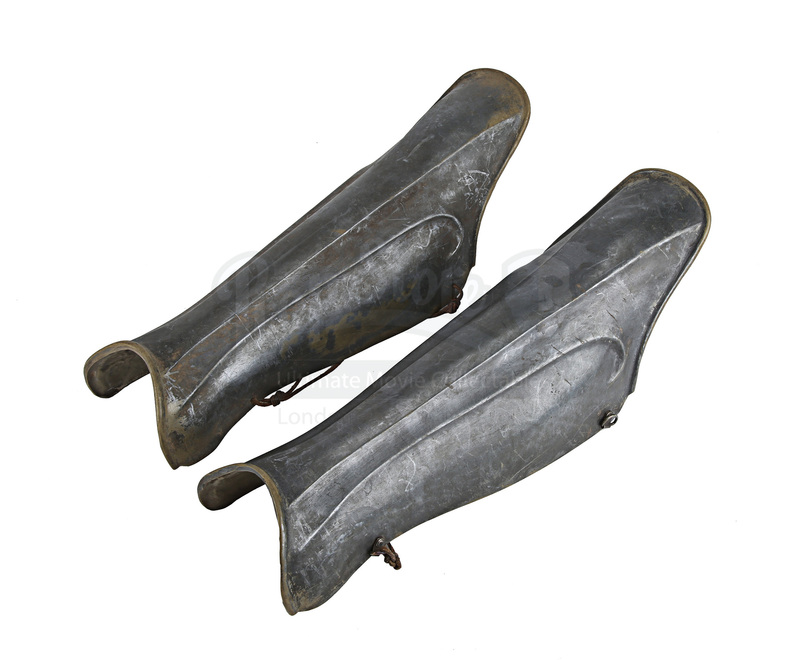 These greaves and others like them were made for the production and would have been worn by an actor playing a Roman soldier. 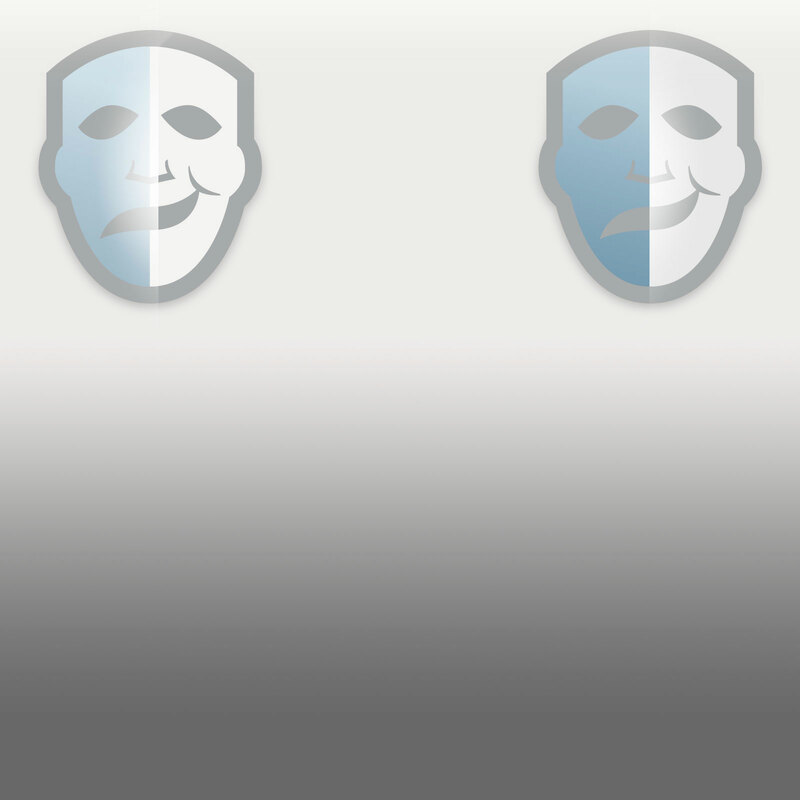 The pair are made of resin and are painted to look like metal. Inside each one a small note is written in red marker pen: ‘L/R 31’ in one, ‘L/L 83’ in the other. 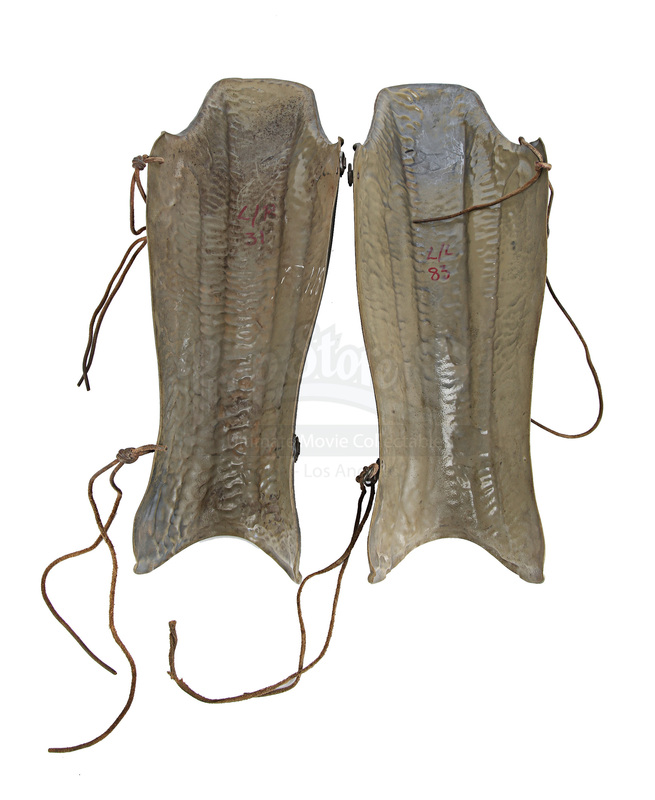 Each one has leather string attached to it so that it can be secured on the actor’s leg. 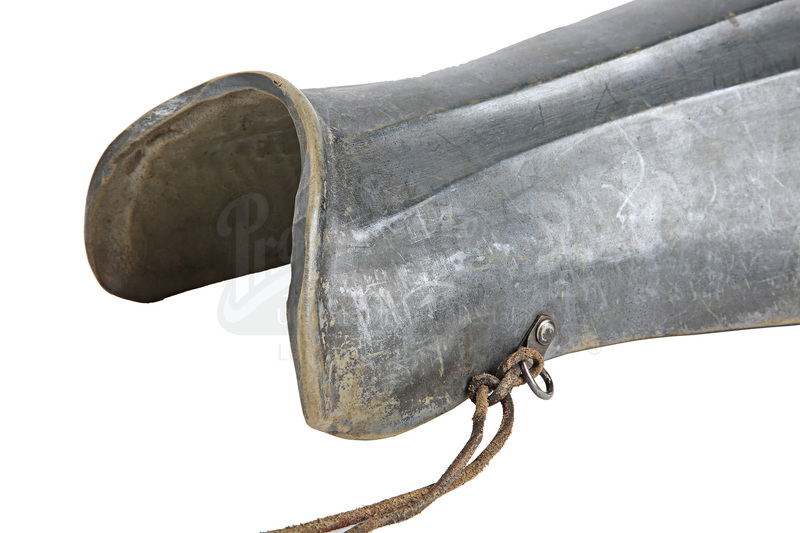 Each greave shows some wear from production use and age, including scuffing, scratching and small areas where the paint has chipped away. Despite this the items are in a good condition. 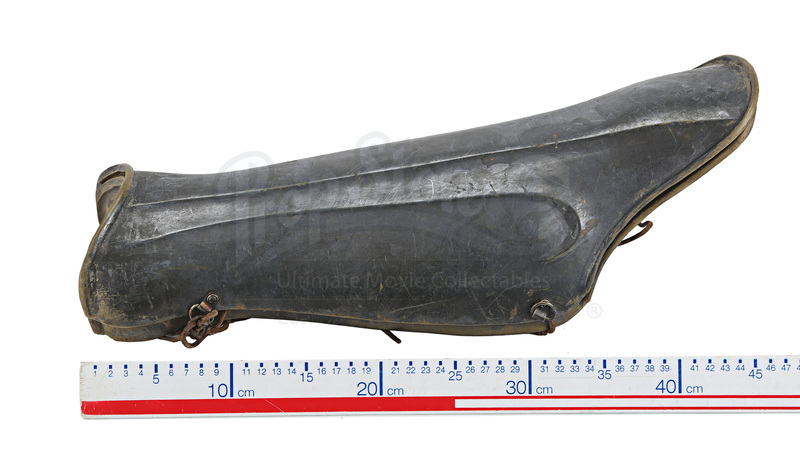 Materials: Resin, Ferrous Metals, Leather.